When I think of AHAVA the first things that come to mind are: natural products, Dead Sea minerals and eco friendly ingredients. 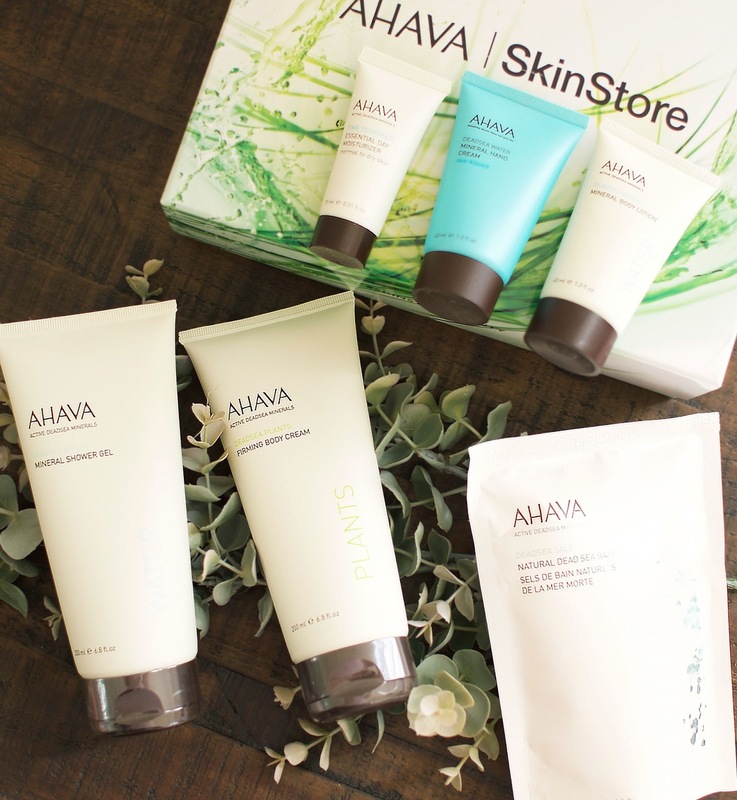 Also after reading through the SkinStore magazine about AHAVA I learned that they are the only company who include ingredients developed directly by the company's own researchers on the shore of the Dead Sea, so with AHAVA you are using exclusive formulas you won't find with any other Dead Sea brand. Keep reading to see what comes in this carefully curated box. Natural Dead Sea bath salts* - Full size - Buy here | Only one ingredient in this full size pouch of bath salts and that is mineral-rich 100% Dead Sea salt. 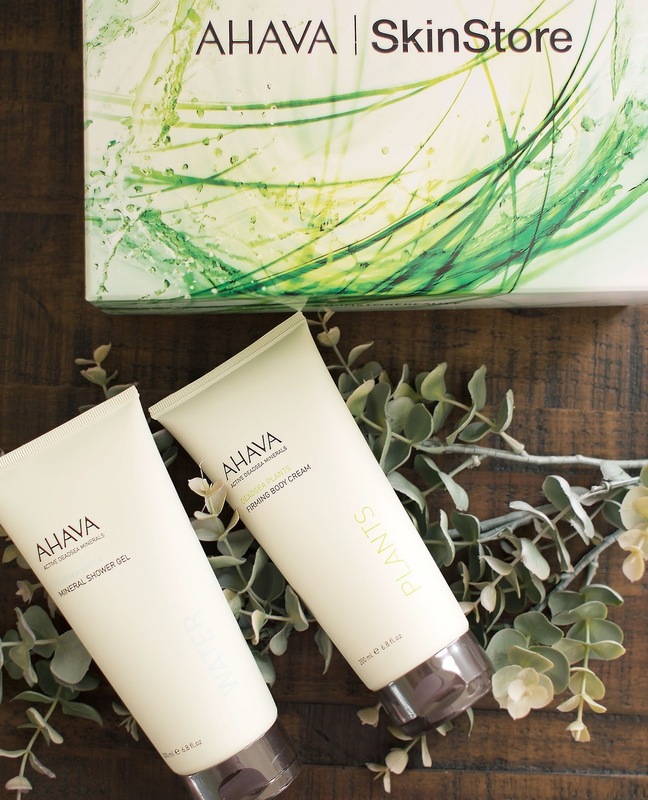 To get the full spa treatment AHAVA recommend soaking in the bath for 20 minutes and then rinsing off in the shower followed by their mineral shower gel. I'm not really a bath kind of gal so I'm going to surprise my bath loving friend with this and introduce her to the benefits of Dead Sea minerals which are: soothing aching muscles, detox your body of pollutants, cleanse tone and purify skin and revealing ultra soft skin. She's gonna love it! Mineral shower gel* - Full size - Buy here | Now this is a perfect product for me! A gentle cleansing shower get formulated with Dead Sea minerals, aloe vera, pomegranate and cherry blossoms. Honestly it smells like fresh sweet pomegranate juice. Ideal for dry and sensitive skin and that is my skin at the moment, since being pregnant my whole body is extremely dry and my bump is especially sensitive (must be all that skin stretching) I'm looking forward to trying this and hopefully it relieves my skin! Mineral body lotion* - Deluxe - Buy here | A perfect travel size lotion that again absorbs quickly and hydrates dry skin. This lotion is infused with Dead Sea minerals and aloe vera for ultimate soft skin. I am really enjoying this lotion so far it has a delicate fresh scent and keeps my skin hydrated. Also I just love that all the products are natural and good for you so it makes me feel like I am really treating my skin well. Mineral Handcream *- Sea kissed - Deluxe - Buy here | Last but not least AHAVA's best selling hand cream in a fresh scent inspired by the sea. The cream is enriched with Dead Sea minerals, witch hazel and allantoin to protect hands from household and environmental damage. I tend to get dry hands because I am always using hand sanitizers which aren't great for keeping skin moisturized so hand cream is a must. This also doesn't leave your hands feeling greasy so you can apply and get on with your day. 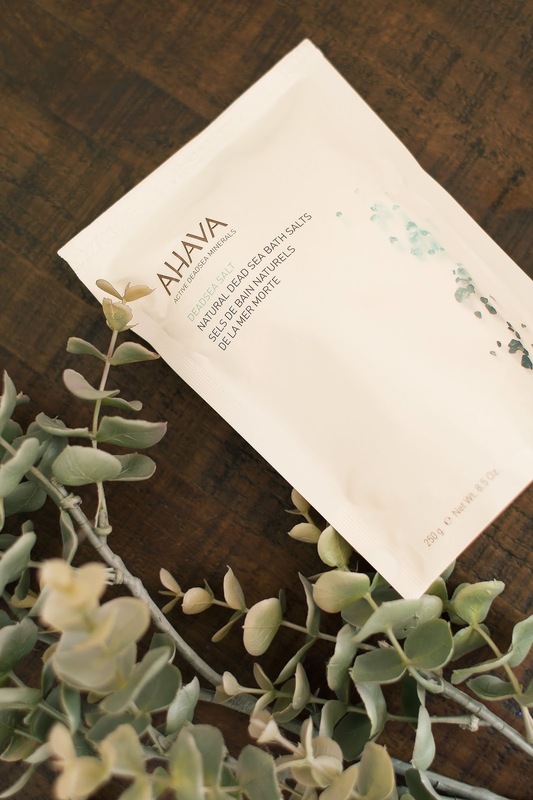 Have you tried AHAVA before? What is your favorite product?